President Donald Trump has been stoking fears about immigrants in the days leading up to the midterm elections. He’s tweeted anti-immigrant ads and threatened to revoke birthright citizenship, something lawmakers on both sides of the aisle have said would be unconstitutional, as he campaigns to drive up Republican turnout. In a Thursday speech, Trump, a vocal critic of illegal immigration long before he reached the White House, claimed it costs the U.S. billions of dollars each year. “Illegal immigration hurts Americans workers, burdens American taxpayers and undermines public safety, and places enormous strains on local schools, hospitals and communities in general, taking precious resources away from the poorest Americans who need them most,” Trump said. While Trump’s rhetoric has lately focused on unauthorized immigrants, his policies have targeted legal immigration as well. Under his administration, refugee admissions in 2017 dropped to their lowest since at least 2002. Trump signed an executive order tightening restrictions on HB1 visas for skilled immigrants. He has pushed for a merit-based immigration system, and his administration has proposed cutting public benefits to legal immigrants. Trump’s characterization of immigrants, as people who drain public resources, however, is not backed by the data. Unauthorized immigrants aren’t usually eligible for federal benefits, for instance, and multiple studies have found that immigrants help the economy grow. Here are some of the most widespread myths about how immigrants affect the U.S. economy, and the research that refutes them. After being detained and released by law enforcement, undocumented immigrants from Central America wait for assistance in a Catholic Charities relief center in McAllen, Texas. Photo by Loren Elliott/Reuters. It is difficult to determine the exact cost or contribution of unauthorized immigrants because they are harder to survey, but the study suggests they likely have a more positive effect than their legal counterparts because they are, on average, younger and do not qualify for public benefits. It’s also important to note that less-educated immigrants tend to work more than people with the same level of education born in the U.S. About half of all U.S.-born Americans with no high school diploma work, compared to about 70 percent of immigrants with the same education level, Giovanni Peri, an economics professor at the University of California, Davis, said in a recent interview with PBS NewsHour. In general, more people working means more taxes — and that’s true overall with undocumented immigrants as well. Undocumented immigrants pay an estimated $11.6 billion a year in taxes, according to the Institute on Taxation & Economic Policy. Undocumented immigrants pay an estimated $11.6 billion a year in taxes. Immigrants are also less likely to take public benefits than the native-born population for two reasons. First, to receive most public benefits under the social safety net, immigrants must be lawful permanent residents for at least five years. There are approximately 9 million immigrants that fit that definition in the U.S. Of those, many would not qualify for welfare or other programs because their incomes are too high. 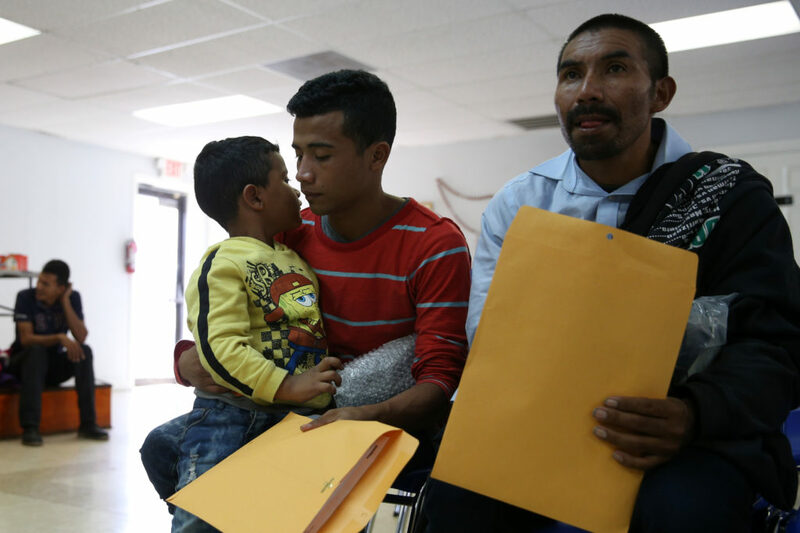 “While it is really important to ensure that immigrants and their children have access to the safety net, there are already a lot of eligibility barriers in place,” said Hamutal Bernstein, a senior research associate at the Urban Institute. 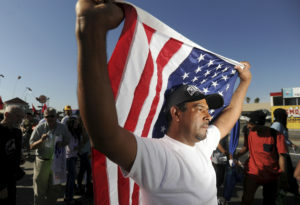 Many immigrants are hesitant to take public benefits even if they are eligible, Peri said. “There is a little bit of a stigma in applying for welfare because they have come here to work, to support their families,” Peri said. Immigrants can be a financial burden to state and local governments through the cost of sending their children to public school — something Trump mentioned Thursday. But Trump’s claim ignored a critical point. Educating those children has economic benefits later down the road when they get better-paying jobs and, in turn, pay higher taxes. On a farm, for example, owners, managers and salespeople are often born in America. Immigrants tend to work as field hands. Neither group could do their job without the other. Immigrants who work as child care providers give Americans, specifically women, more opportunity to join the labor force. And immigrants are playing an increasingly critical role in taking care of the elderly as baby boomers retire. Census data shows that immigrants accounted for 24 percent of nursing, psychiatric and home care aides in 2015. A study from the bipartisan research organization New American Economy found immigrants were 15 percent more likely to work unusual hours than similar U.S.-born workers. They are also more likely to be employed in dangerous jobs, according to data from the American Community Survey and Bureau of Statistics. In addition, the latest jobs report shows the U.S. economy performing strongly enough that it can absorb large numbers of workers, including immigrants. Immigrants fill those roles in part because they are on average less educated than native-born Americans. About 26 percent have less than a high school degree, compared to 5 percent of native-born workers, according to the Urban Institute. But one in three immigrant workers have a college or advanced degree, a rate on par with Americans born here. Unauthorized immigrants tend to have slightly lower education levels; about 13 percent have college degrees. If not for immigrants, the U.S. workforce would be shrinking. Social Security, which is paid for by current workers, would be in even more serious budgetary trouble than it already is. Economic growth would also likely stagnate or even contract, as it has in Japan, a country where the population is shrinking and does not attract many immigrants. Automation can buttress economic growth for a while, but investment in new technology only goes so far, said Betsey Stevenson, an associate professor of economics at the University of Michigan. Plus, immigrants increase demand for goods and services, which further boosts economic growth, she added. At his rally Thursday night in Columbia, Missouri, Trump criticized the 14th Amendment, which was ratified after the Civil War and guaranteed citizenship to “all persons born or naturalized in the United States,” including people who were formerly enslaved. Trump said the idea was “a crazy, lunatic policy” supported by Democrats that today allows “hundreds of thousands of children born to illegal immigrants” to become citizens each year. 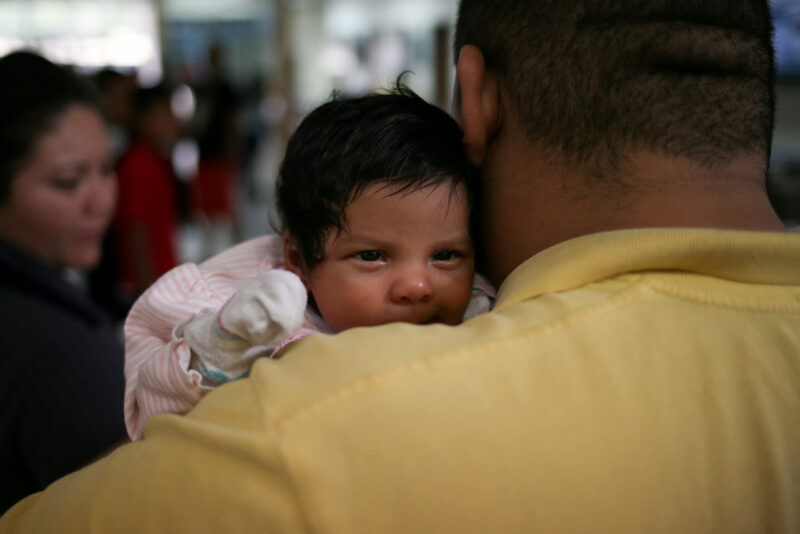 Research shows that repealing birthright citizenship could have significant negative consequences for the U.S. economy because children who are citizens have more economic opportunity and rely less on government assistance.